Providing the reader with a practice-focussed approach to public health nutrition intervention management, Practical Public Health Nutrition is a crucial resource for dietitians, community and public health nutritionists and related health professionals in need of a practical guide to practicing public health nutrition. Internationally recognised experts Hughes and Margetts describe in detail the rationale, processes and tools that can be used to assess population needs, analyse problems and develop effective interventions at a community level. Exercises in each section of the book contribute to a collective PHN intervention plan, providing the reader with the opportunity to demonstrate an outcome of intervention management. 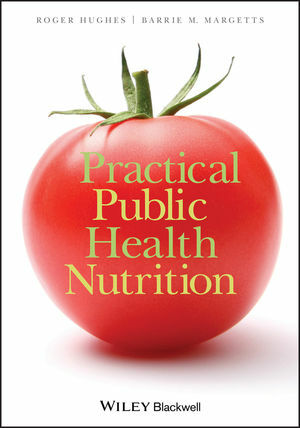 Unique in its approach to teaching the practical applications of this increasingly crucial discipline, Practical Public Health Nutrition is a vital purchase for anyone working in the public health arena. Professor Roger Hughes is based at Griffith University, Gold Coast Campus, Australia. Professor Barrie Margetts is based at the University of Southampton, UK.